Geelong are set to unveil star recruit Phoebe McWilliams in Saturday night's clash against reigning AFLW premiers the Western Bulldogs. The former GWS key forward was a late withdrawal from the Cats' inaugural match last weekend because of a hamstring problem. Former Melbourne player Erin Hoare will also come into the Geelong side for the Whitten Oval game. But they remain without captain Melissa Hickey, who is returning from a knee reconstruction. Hickey had hoped to play in last weekend's one-point win over Collingwood. The Bulldogs, who started their premiership defence with a one-point win over Adelaide, named Irish recruit Aisling McCarthy for her AFLW debut. Danielle Ponter, the niece of Michael Long and cousin of Cyril Rioli, was named on Adelaide's extended bench for their Sunday game against Carlton at Ikon Park. 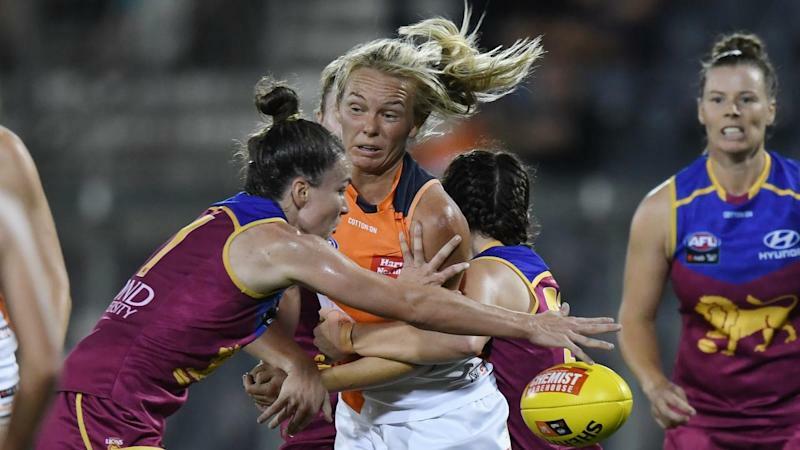 North Melbourne will debut Elisha King in Friday night's match against the Giants at Drummoyne Oval, while GWS forward Britt Perry is also set to play her first AFLW game. Collingwood play Melbourne on Saturday at Victoria Park and will be without Sophie Alexander, who was concussed in a friendly fire incident with netball recruit Sharni Layton last weekend. Teammate Kristy Stratton has a broken hand, with the Pies naming Eliza Hynes and Katie Lynch set for her debut. The Demons have lost Shae Sloane to an ACL, but Ainslie Kemp returns from the same injury.